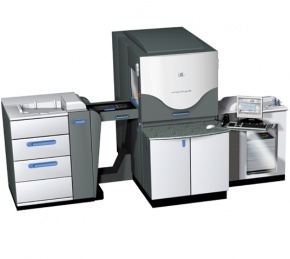 New HP Indigo 3550 Digital Press – intelligently designed to meet the challenges of today’s demanding market, doesn’t compromise on print quality. Colour reproduction is second to none and finally there is no difference in product quality between traditional offset and digital print. We believe it is simply the best digital technology available and as well as the obvious short-run applications, it opens up a new world of possibilities with personalised text and imagery per sheet. The success of Pressprint has largely come from our speed and flexibility. These attributes are embodied in our flagship presses. 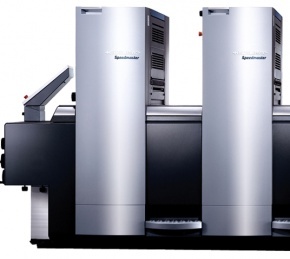 Automated make-ready and easy-to-control sheet travel make the Speedmaster XL 75 an extremely user-friendly press for a broad range of substrates from flimsy papers to stiff board. We run constant multiple shifts and need a robust press, able to produce long runs at top speed. 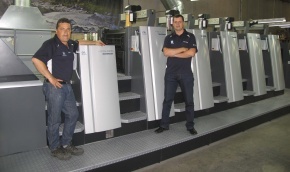 To help achieve this, the digital Prinect CP2000 Center press control system supports rapid sheet-size and stock changes. This smaller sheet press has proven ideal and adaptable to meet the growing and ever changing needs of the market. All design features, the prepress link and the Prinect CP2000 Center make it ideal for classic commercial work such as business stationery, brochures, leaflets, forms, postcards, greetings cards, dust covers, labels, etc. The SM 52 sets the standard in its format class.